New Home Shock and Pre-Loved Favourites! Researchers at Cambridge University have recently undertaken a study revealing British new homes to be amongst the smallest in Europe. New homes being built at sizes potentially detrimental to our health are one of the claims the research suggests. With the average new build in the UK being measured with 76 sq metres of living space comparing to Ireland at 87.7, Germany at 115.5 and Denmark at 137 sq m the evidence does appear to overwhelmingly support the findings as well. Pre loved, second hand, used or nearly new are not phrases associated with house buying or owning but every house has a tale to tell and older properties have assets all of their own. Mature Gardens with trees and hedges rather than seeded rubble strewn turf are the external equivalent of high vaulted ceilings versus energy efficient light fittings. The emotion evoked when purchasing a period building cannot be replicated in other than the most bespoke new build. The space available in many a 1960’s detached home together with it’s driveway and traditionally generous plot should always compensate for it’s not so aesthetic façade. Two up two down Victorian houses, found abundantly throughout Coventry offer two terrific double bedrooms and two reception rooms and can be easily modified to incorporate two bathrooms if the mood takes. You’ll have period features, more floor space and real character for less than your average starter home! Look around, take your time and use your imagination. 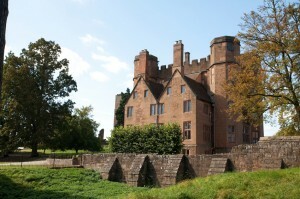 You don’t have to own a Castle for it to be a lovely home. Property investors often disagree about the precise value that a well-fitted wood flooring can add to a property’s value. Nevertheless, they do agree that the initial investment of time and material pays off when the property is sold. In this guide to wood flooring, we will offer practical tips for property owners looking to fit wood flooring and for those of you who already have wood flooring fitted, we will explain how to rejuvenate the wood and make it look fresh again for when you decide to put your property on the market. 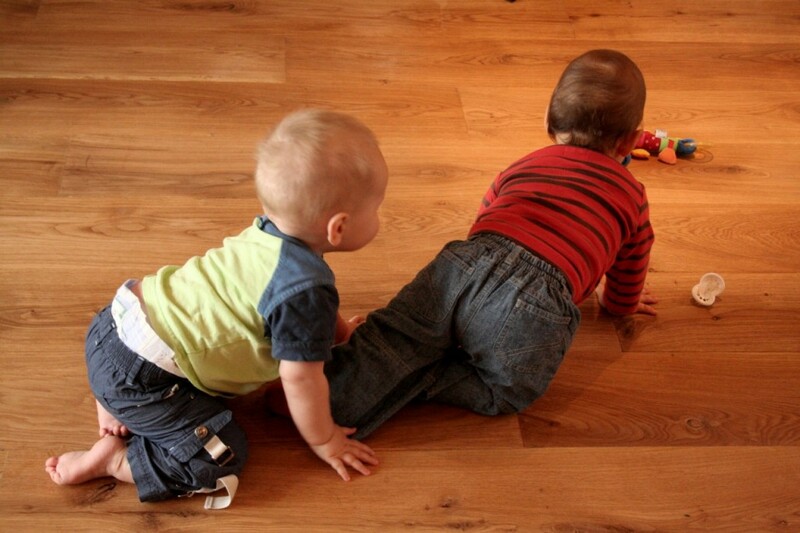 There are two types of wooden floors on the market. Your choice of fitting one type instead of the other will greatly affect your return on investment. The first type and the most common are ‘solid’ wood flooring, made from… you guessed it, 100% solid wood. The second type is the new kid on the block, called ‘engineered’ wood flooring, made from Plywood, Softwood and MDF. Before we explain the differences between each type, it is easier to start by explaining their similarities. Both look precisely the same when fitted (i.e. ‘real wood look’), both cost marginally the same and both have a service life expectancy of 25 years. They differ in how they react in moist conditions and when the temperature fluctuates. Solid wood flooring is made from complete natural wood and therefore inherits the natural property of wood to contract in cold temperatures or expand in hot temperatures. In some cases this can cause the wood to break up. If temperature fluctuations are not an issue where your property is situated, either type will do, unless… the floor is fitted over under-floor heating. In such case, which is becoming more and more common, only engineered floors will stop the wood from erupting due to the excess heat. It is common for property owners to mishandle the care of wood flooring through the years thereby greatly changing the look of the wood. Luckily, it is possible in most cases to bring the wood’s fresh looks back using a simple process called sanding. Both solid and engineered floors will react well to sanding, however while solid floors could be sanded many times during their service life, engineered floors only a handful of times, so make it count if you have engineered floors fitted. Wood flooring is covered in a top layer often refereed to as the ‘finish’ of the floor that is meant to provide basic protection and to give the wood a desired decor look (for example, oil will equal glossy look, UV lacquered will equal a matt look and so on). Throughout the years, due to foot traffic and more often due to erroneous cleaning methods, the finish disappears. The process of sanding is cheaper compared to replacing the entire floor. It is meant to remove any traces of the old finish and to re-coat the wood in a new finish, thereby rejuvenating the wood. It can be done DIY style by hiring a few dedicated tools, but you are best to let a professional do the work. The first step will involve removing the old finish using a dedicated machine called ‘sander’. The next step involves ‘staining’ the wood to achieve a desired colour or leave natural to benefit from the original colours of the wood. The final stage is when the new layer of protection is applied to the floor. The end result should bring the wood up to date, making it look factory fresh again. 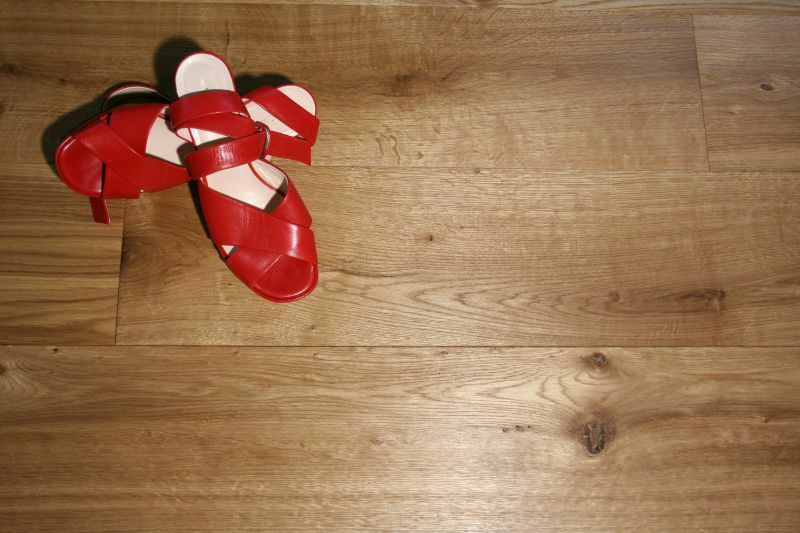 A well-fitted wood floor can help increase the value of your property. If you are fitting new floor, make sure you pick the right option. If you already have wood flooring fitted, consider rejuvenating the wood before placing the property on the market. 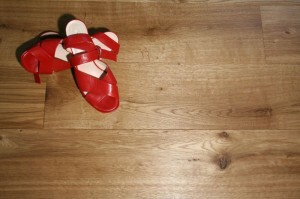 Article written for Elizabeth Davenport by London based wood flooring seller wood and beyond.